Selecting the right enterprise content management (ECM) system and leveraging it properly is crucial for accountants wanting to boost efficiency and improve business. As the role of the accountant has changed, so too has the functionality of ECM systems. Accountants can gain significant efficiencies by choosing the right ECM system, which can play a pivotal role in automating manual processes and streamlining accounting tasks and business activities. Many businesses still rely on file folders to store and access documents, creating roadblocks to efficient access. They are also slow in providing employees with mobile access to company information, making it difficult for accountants to enjoy the ‘work from anywhere’ mantra that most organisations have adopted in recent times. For years, ECM systems were really just content repositories. The focus was on where to store documents and information. As ECM has evolved, many businesses have simply stacked ECM solutions on top of each other and are now dealing with an accumulation of systems and content repositories. Yet each new ECM system shared one thing in common with all of its predecessors: it focused on the location of content. Many firms think they need a single repository to simplify their approach to content management. The reality is that most organisations will have multiple systems and repositories in place for a long time to come. This doesn’t need to cause concern. It’s important for firms to rethink the role of ECM and to find a solution that leverages the firm’s existing investment in content management systems instead of adding more complexity and expense. Today, the right ECM solution doesn’t just store content in specific locations, like the traditional top-down monolithic approach we saw for ECM in the past. Instead, today’s leading systems can treat content differently based on what it actually is, rather than on where it’s stored. This is helping to reduce information silos as staff can search and access content more efficiently. In addition to making it easier for accountants to store and access information, workflow automation is another benefit ECM solutions can deliver. 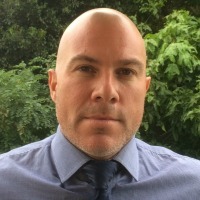 Deploying a system that works across all existing content repositories can help organisations integrate unstructured data, for example customer contracts, into structured systems like enterprise resource planning (ERP), with defined workflows, providing greater visibility and timely access to business information across different departments. In order to address the needs of accountants and accounting firms in 2017, ECM systems need to be simple, functional and easy to use from anywhere and at any time. The role of ECM is to bring people and content together regardless of the systems in use. There are four key trends affecting the way ECM solutions are evolving and the way accountants are using them. The Privacy Act 1988 and general security policies and provisions encourage employees to treat data and content responsibly, but risks related to information breaches and non-compliance are everywhere. The consumerisation of IT means end users demand simpler tools for accessing and managing information, but these tools need to be company-mandated so they do not put the organisation at risk. The key to success is finding the right balance between control and ease of use. Individuals have become comfortable with cloud-based technology, but some organisations remain wary, usually because of security concerns. In fact, the security provisions and controls implemented by cloud providers are likely to surpass anything a single organisation can implement on its own. Furthermore, organisations can choose a hybrid cloud approach, moving some information to the cloud and keeping the rest on premises. This flexibility makes it easier for organisations to manage content in its optimal location, based on operational needs or compliance requirements. The value of an ECM solution lies in its ability to extract insight and intelligence from content, as well as its ability to provide access to information when employees need it. More intelligent ECM can deliver smarter search functionality and relevant content when the user needs it, while automating key tasks. For example, if an accountant can be alerted when early payment discounts are about to expire, they can prioritise payment of those accounts to get the discount. The democratisation of information means businesses must provide staff with quick access to information that resides within their various internal business applications and databases. Massive amounts of content reside within multiple and disconnected platforms, applications, locations and devices. This creates compliance and security risks and also leaves employees with only some of the information they need to perform their jobs. The right ECM solution can overcome these issues. To be truly effective, ECM must be based on what the content is and not where it is stored, and a metadata-based approach to ECM is the key to connecting systems and repositories. With this approach, information is not tethered to a specific location; it can be accessed and synced between various systems and devices with no duplication of content. Metadata-driven ECM eliminates information silos and breaks down the barriers between employees and their information. Getting ECM right in the accounting department or firm can yield significant cost savings, efficiency gains and competitive advantage, without incurring major capital expenditure or throwing away previous investments in content management systems. Focusing on a metadata approach is the ideal way to achieve this.